Potassium bromate and azodicarbonamide (ADA) These additives are commonly added to baked goods, but neither is required, and both are banned in Europe because they may cause cancer. In recent years, some American restaurant chains have responded to consumer pressure and removed them from their food. Potassium bromate is often added to flour used in bread, rolls, cookies, buns, pastry dough, pizza dough and other items to make the dough rise higher and give it a white glow. The International Agency for Research on Cancer considers it a possible human carcinogen, and the Center for Science in the Public Interest petitioned the F.D.A. to ban it nearly 20 years ago. The F.D.A. says potassium bromate has been in use since before the Delaney amendment on carcinogenic food additives was passed. 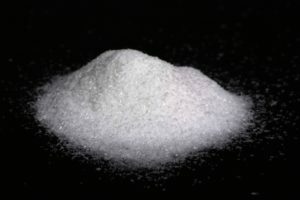 Azodicarbonamide, or ADA, which is used as a whitening agent in cereal flour and as a dough conditioner, breaks down during baking into chemicals that cause cancer in lab animals. It is used by many chain restaurants that serve sandwiches and buns. The Center for Science in the Public Interest has urged the F.D.A. to bar its use. The F.D.A. says it is safe in limited amounts. BHA and BHT The flavor enhancers and preservatives BHA and BHT are subject to severe restrictions in Europe but are widely used in American food products. While evidence on BHT is mixed, BHA is listed in a United States government report on carcinogens as “reasonably anticipated” to be a human carcinogen. Yellow food dyes No. 5 and No. 6, and Red Dye No. 40 These dyes can be used in foods sold in Europe, but the products must carry a warning saying the coloring agents “may have an adverse effect on activity and attention in children.” No such warning is required in the United States, though the Center for Science in the Public Interest petitioned the F.D.A. in 2008 to ban the dyes. Consumers can try to avoid the dyes by reading lists of ingredients on labels, “but they’re used in so many things you wouldn’t even think of, not just candy and icing and cereal, but things like mustard and ketchup,” marshmallows, chocolate, and breakfast bars that appear to contain fruit, Ms. Lefferts, the food safety scientist, said. Farm Animal Drugs The European Union also bans some drugs that are used on farm animals in the United States, citing health concerns. These drugs include bovine growth hormone [rBGH, rBST growth hormones], which the United States dairy industry uses to increase milk production. The European Union also does not allow the drug ractopamine, used in the United States to increase weight gain in pigs, cattle and turkeys before slaughter, saying that “risks to human health cannot be ruled out.” An F.D.A. spokeswoman said the drugs are safe. Next article:What Else Can Lactobacillus Sakei Treat?